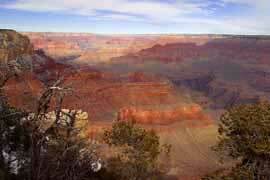 Our fully guided Grand Canyon tour includes: National Park fees, local taxes, bottled water, and hotel pick up/drop off within select pick up area of Phoenix/Scottsdale. 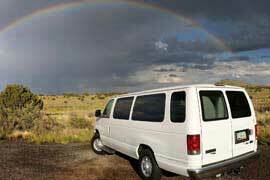 We specialize in small group Grand Canyon tours. A small group gives you a high quality, friendly, and relaxing tour with a personal tour feel. 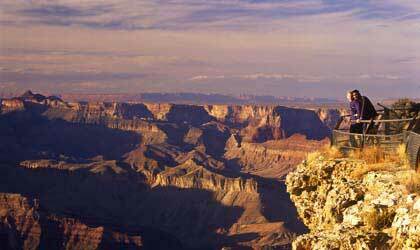 On our extraordinary Grand Canyon tour departing from Phoenix and Scottsdale, you will experience some of the most scenic and breathtaking views that the Grand Canyon has to offer. You will travel with one of our experienced/professional tour guides who know the Grand Canyon and the southwest including history, geology, legends and lore. They can tell you things you won't find in a guide book, they have great story telling ability, and their enthusiasm for learning is unsurpassed. Get ready to enjoy a fun, educational, and awe-inspiring 14-hour tour to the Grand Canyon including a stop on the Navajo Reservation. After a complimentary pick up from most central Phoenix and Scottsdale hotels you will start your route north. Gain over a mile in altitude between the mighty saguaro of the Sonoran Desert Phoenix area (1,117 feet) up to the Colorado Plateau with its majestic Ponderosa Pines (7,000 feet). The many changes in scenery and weather will amaze you. On the way, there will be a rest break at the geographic center of Arizona, the Verde Valley, with its picturesque landscape. Next, ascend up to the plateau of Sunset Point and enjoy the scenery while your guide continues to give you information and answers your questions. Driving through Flagstaff you will pass by a section of the famous Route 66. Next on up to the Navajo Reservation for a lunch stop in Cameron Arizona. You will have time for shopping and taking in the views of the Little Colorado River Gorge. Now what you've been waiting for, the Grand Canyon National Park! 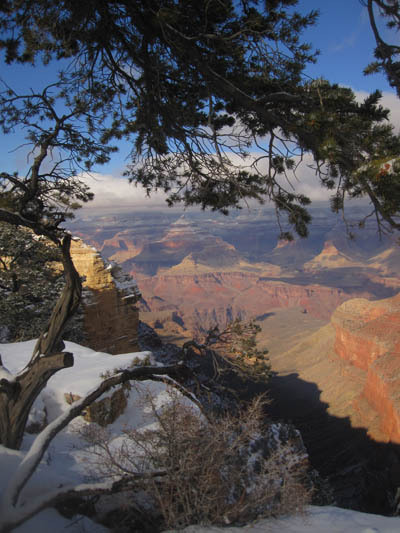 You will have multiple viewing and photo opportunities, (including some fantastic selfie moments) at the South Rim. 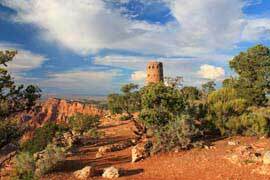 You will be touring with your guide 26 miles along the south rim with stops at several viewpoints including Desert View Watchtower and Grand Canyon Village with the historic El Tovar Hotel and Hopi House. During the 3 to 3 ½ hours in the park, see how many species of wildlife you can spot. The Grand Canyon National Park is full of many types of mammals, reptiles, amphibians, and birds. Including endangered birds of prey! Your knowledgeable tour guide is with you the entire journey, providing information and answering any questions you may have, or even taking your picture at the Grand Canyon with your camera for you. Your return trip will include a 30 minute rest/food stop for fast food before returning you to your pick up location. *We reserve the right to change tour itinerary after tour departure due to circumstances beyond our control such as weather, traffic, road conditions, or any other condition outside our control. -Terms; Credit card or cash deposit required at time of booking. Bookings cancelled within 24 hours of tour departure and no-shows will be charged the full amount. -We reserve the right to change tour itinerary after tour departure due to circumstances beyond our control such as weather, traffic, road conditions, or any other condition outside our control. 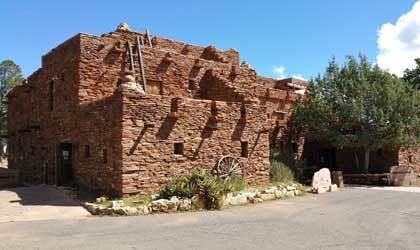 -Travel through Flagstaff, and pass by the famous Route 66. We love our great State of Arizona and enjoy sharing it with you, our guest. You can be sure you will get very professional, friendly, and personal service from the moment you contact us and even after your tour experience is over. Your comfort and the quality of your tour is important to us. We have a vested interest in making your guided tour fantastic because we own the business! These are the questions we get asked the most. If you have a question not listed here, please give us a call at 1-602-971-1381. 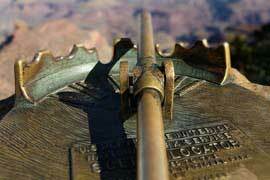 Our tours depart from select centrally located hotels and resorts in Phoenix & Scottsdale Arizona. Since there are over 100 hotels we can pick up from, it's impossible for us to list each one. We can make arrangements for people not staying in a hotel or resort. For those staying in the far east or south areas, you can meet us for your tours at a central location in Phoenix, Arizona. Those on the far west side can meet us at one of the hotels on I-17. 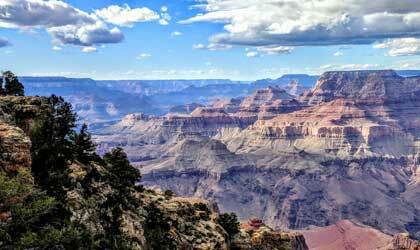 How long do you spend in the Grand Canyon National Park? 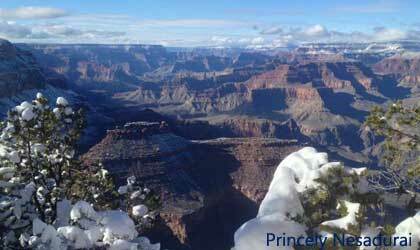 We spend 3 to 3 1/2 hours in the park driving along the south rim and stopping at various view points. 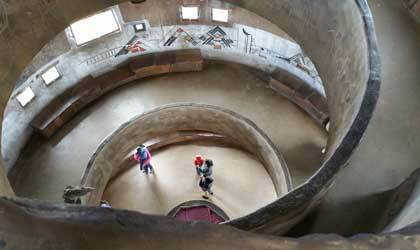 At each view point everyone will be able to walk around and check out the sights. How much walking is done on tour? We don't do any difficult walking. At each view point everyone is free to check out the sights at their own pace. That means walking around as much as time allows or enjoying the views while sitting. How will I know what time you will pick me up for my tour? We pick up at most Phoenix and Scottsdale hotels between 6:45 - 7:45 AM. 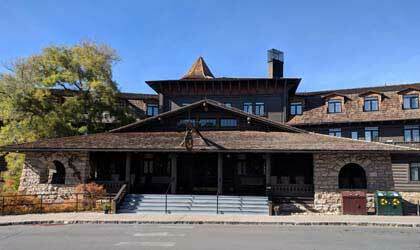 The afternoon/evening before your tour we will call or email you with a pick up time, giving you an approximate 10-15 minute window of time in which your tour guide will meet you in the lobby of your departure point. Do I need a reservation to join your Grand Canyon tour? Yes, you will need to make a reservation with us before the tour date. You can call (602-971-1381), E-mail, or reserve online on our -> Reservation Page. We will need to know where you will be staying, the number of people joining the tour, and your full name, a contact phone number, and a credit card guarantee. How should I dress for my Grand Canyon tour? Can I book my tour online? Yes, you can! Simply go to our Reservations page -> Reservation Page and fill in the form. We will send you a return E-mail regarding your reservation request. If you have not heard from us within 48 hours, please call us on our toll free number, (800) 513-1381. All of our tours are fully guided with one of our professional and knowledgeable guides. The tour price includes any local taxes, admission into the Grand Canyon National Park, as well as complimentary bottled water. Any meals, tour guide gratuities, and additional purchases you make are not included. We stop for lunch and dinner on our Grand Canyon tour. Typically lunch is at the Cameron Trading Post. You can preview their menu ->MENU. Dinner is fast food. Meals are not included in our pricing. Complimentary bottled water is available. Why should I choose Southwest Tours? Our driver/guides are the heart of our company. They love sharing Arizona with it's many visitors and it shows. Each guide is highly trained and exceptionally knowledgeable about our great state, with customer satisfaction and safety their number one concern. If we can not accommodate your desired tour and schedule of availability we will do our best to help you find another company to meet your specific needs. 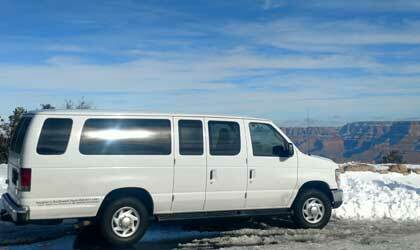 We use newer model, deluxe, stretch, 15-passenger vans, with no more than 12 passengers taken on any tour. 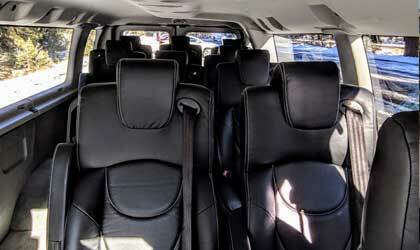 All vans have comfortable captain chair seating, large windows and a speaker system so you can better hear your guide. Of course, they are heated and have air conditioning. For custom tours with more than 12 passengers, we will use coaches. We can accommodate groups of any size. For small groups we have a Town & country Mini Van. Inside the Watchtower looking down. Grand Canyon National Park. Relax in your chair, grab some tea, and enjoy reading our helpful tips, looking at fantastic photos, and reading about everything Arizona.